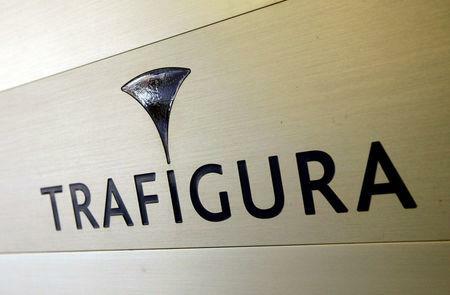 GENEVA (Reuters) - Global commodities firm Trafigura has decided to stop trading oil with Venezuela due to U.S. sanctions on the OPEC nation's energy sector, a source with direct knowledge of the matter said. Washington imposed fresh sanctions on PDVSA last month to cut off a key source of revenue for President Nicolas Maduro. The move came after congress head Juan Guaido invoked constitutional provisions to become interim president, arguing that socialist Maduro's re-election last year was a sham. Due to the size of Venezuela's oil-for-loan agreements with China and Russia and the weight of previous U.S. sanctions, cash-strapped PDVSA has become increasingly reliant on intermediaries to export its crude and import refined products. The U.S. sanctions limit U.S. refiners to paying for Venezuelan oil by using escrow accounts that cannot be accessed by Maduro's government. Foreign firms that use the U.S. financial system for oil trading or U.S. units are similarly restricted, cutting off avenues for PDVSA to collect revenue. In an effort to ease domestic fuel shortages, PDVSA's imports skyrocketed last year. Its own refining system is hobbled by technical failure, a lack of investment, delayed maintenance and insufficient crude supply.